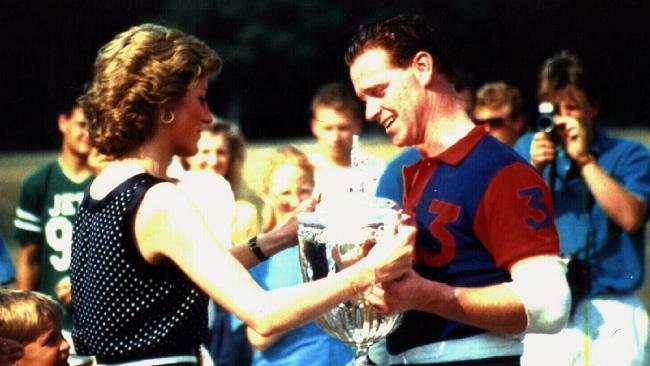 Diana, Princess of Wales presenting a trophy to James Hewitt at a polo match. IT'S one of the most pervasive rumours to have dogged the British Royal family - suggestions that Prince Harry's biological father is not, in fact, Prince Charles. Royal gossips have for years now rumoured that Princess Diana's former love, James Hewitt, was the real father of her youngest son, Prince Harry. But Diana's former butler, Paul Burrell, flatly refuted those rumours while appearing on Ten's reality show I'm A Celebrity Get Me Out Of Here. Jackie: "Do you believe that Prince Harry is Charles' child?" Jackie: "It isn't the other...The orange hair?" Paul: "She didn't know James Hewitt when Harry was born. That's fact. Five years into the marriage, she had Harry. And she hadn't yet met James Hewitt. True." Jackie: "Awesome! I believe you. Case closed!" 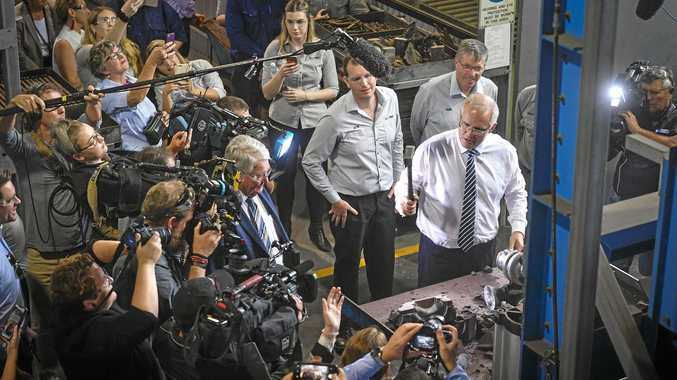 In an interview with Seven's Sunday Night last year, Hewitt himself was asked by host Melissa Doyle point blank if he was Prince Harry's biological father. "No I'm not," he replied. Hewitt and Diana were forced apart when he was deployed to serve in the Gulf War. They parted for good when the affair was exposed in the media. Since then rumours have long circulated that Prince Harry was Mr Hewitt's son after media speculated on the physical resemblance between the two. "It sells papers," Hewitt said last year. "It's worse for him (Harry) probably, poor chap." Burrell's I'm A Celeb campmates are largely excited by his seemingly inexhaustible supply of Princess Di anecdotes, with Simone Holtznagel confessing she wants to "pick his brains" of every possible royal story. Comedian Fiona O'Loghlin revealed she was a Princess Di obsessive, and having Burrell in camp is "like they have delivered a stack of magazines this big."